Canaccord Genuity Corporate Cup 2019 Wednesday 24th to Thursday 18th April 2019. The series will consist of six 5km races, five of which will take place on a Wednesday of each consecutive month at 12.45pm, allowing people to fit the run into their lunch break. The final race and presentation will take place at 17.45. There will be no time cut off so if people want to race, jog, walk or crawl everyone will be made welcome (as long as they get back to work in time!). Reserves/replacements to teams can be made if a team member cannot make one of the events. The replacement runners must be from the same business (can be visiting employee from off island). Each team will be issued with spare numbers and so these can be used for reserve runners. All races will start from near the Freedom Tree alongside Radisson Blu and finish at Jardin de la Mer. Wed 18th September 5.45pm race start, followed by Drinks and prize giving at 7pm. 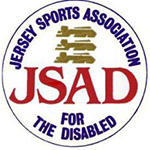 The Corporate Cup will be supporting Jersey Sports Association For The Disabled. Teams are encouraged to raise sponsorship money if possible and can use the Race Nation site for making donations. In addition £40 from each team entry / £10 from each individual will go to the JSAD to help support them in their fantastic work. Even if you're not taking part in Canaccord Genuity Corporate Cup 2019 you can still do your bit for charity by making a donation. Now in its 6th year, the Corporate Cup, sponsored by Canaccord Genuity Wealth Management, is a 5km race series aimed at all the businesses and corporations based in Jersey. This series is designed to help businesses promote and encourage a healthy way of life to all its employees, thus adding more scope and depth to existing health promotion protocols. Runners can compete as part of a team or as individuals.